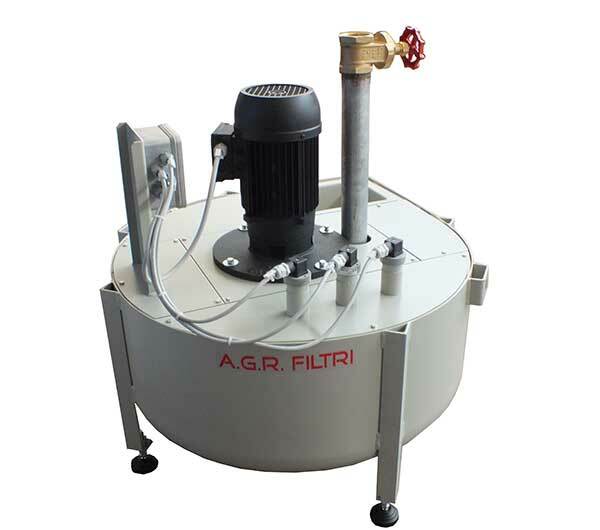 HFS Hydrostatic filtration system with filtering fabric - A.G.R. Filtri s.r.l. Flow rate from 100 to 5,500 l/min. HFS-MINI Series from 30 to 200 l/min. 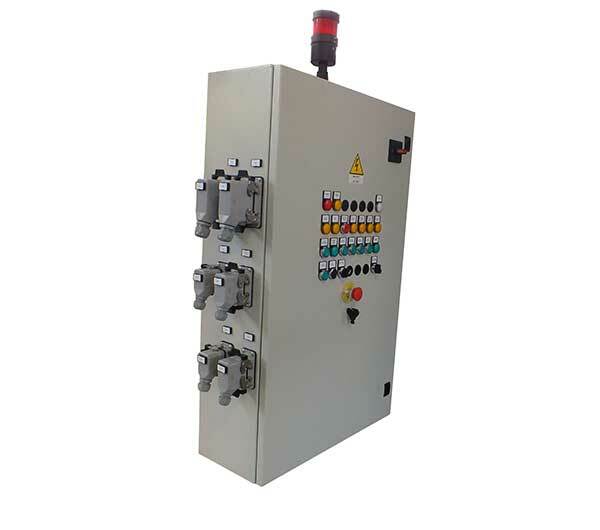 HFS Series from 200 to 2,000 l/min. 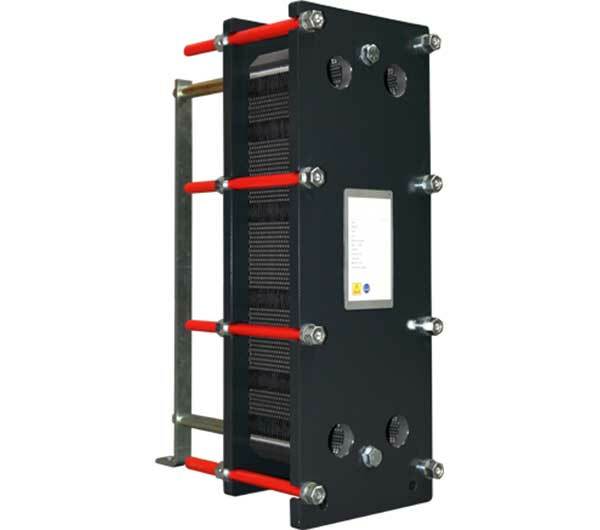 HFS-XL Series from 2,000 to 5,500 l/min. The liquid that needs filtering is introduced into the diffuser and evenly distributed on the filtering fabric which captures the polluting particles and allows the filtered liquid to be drained into the tank below. 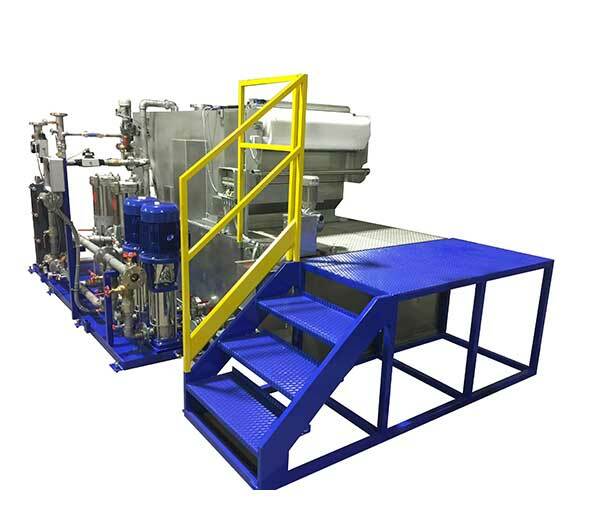 The curved shape of the filtering bed makes it possible to achieve a high hydrostatic head of dirty liquid which, by increasing the hydrostatic thrust, creates a higher flow-through rate, optimising the consumption of the filtering fabric. Two special seals (one static and the other dynamic) accompany the fabric along its path. Given the durability of the materials used, they guarantee reliability and ensure that only the filtered liquid passes through. The pollutant is deposited on the filtering fabric forming a spongy layer which, in turn, contributes to the filtration process. When this layer becomes too thick and dense, the liquid can no longer pass through the clogged fabric, causing the liquid to rise until it reaches the maximum level allowed. At this point, the level sensor (mechanical or electronic) installed on the filter sends a starter signal to the feed conveyor motor. 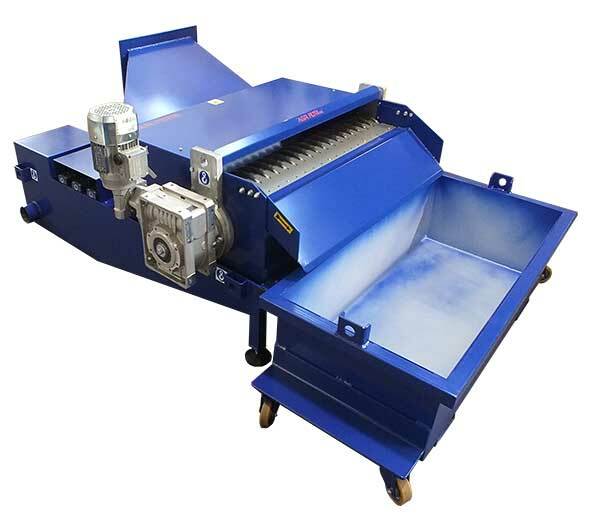 The exhausted fabric full of sludge is removed from the filter into a bin or, if envisaged, is scraped free of the sludge and rewound, while new filtering fabric is introduced. To make the most of the filtering power of the layer of sludge deposit, only a few centimetres of filtering fabric are replaced. The filtration process is completely automated. The operator must, however, check the input of the clean filtering fabric. 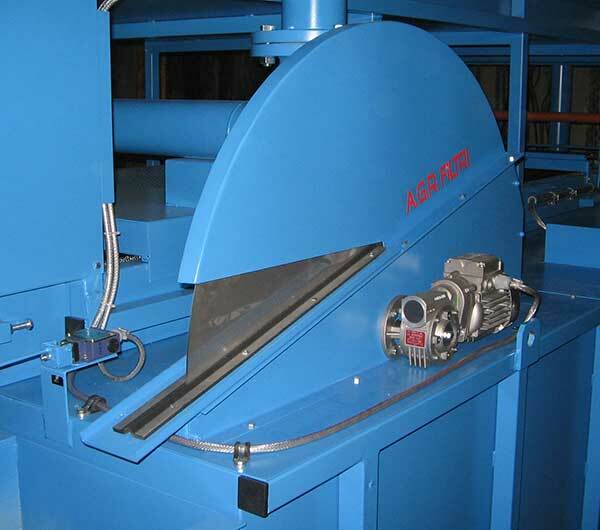 To simplify the operation, mechanical or electronic sensors are available to detect “fabric finishing” or “end of roll”.